The Government has just announced plans to release under-used or unviable brownfield sites to developers, free from the usual associated costs (section 106 affordable housing contributions and Community Infrastructure Levy charges). The sites will be those which have previously been locked to housing developers. In return, developers will be required to offer a minimum of 20% discount on market value to first time buyers under the age of 40. As yet, there is no commentary or explanation as to whether having a cut-off age could fall foul of age discrimination legislation. The plan is currently in the consultation phase. This is due to end on 9 February 2015, with a view to publishing a final statement and responses to the consultation at the end of March. The aim is to assist the Government in meeting its long term economic plan to promote the building of more new homes and follows the Government’s trend of trying to assist young people make a step onto the property ladder. It is also aimed at tackling the general housing shortage. In order to prevent the initiative being abused, and the homes being re-sold quickly for a substantial profit, the new homeowners will be restricted from selling their starter home at market value for a specific period of time. The Government has suggested that this period of time should be between 5 – 15 years. Should the owners wish to sell the property during this time, they will be required to sell the property at a discount to other first-time buyers, to ensure the continuity of the scheme. Alternatively, should they choose to sell to the general market, a levy will be applied. It has been proposed that a sliding scale on the amount of discount/levy will be applied, depending on how much time has passed before re-sale. What is unclear from this suggestion is how the discount / levy will take into account the natural fluctuations in property prices. For example, the situation where a first-time buyer decides that they wish to sell their property after 10 years. If the market value of the property increased significantly and the property turned out to be a very good investment, would the sliding scale discount on re-sale affect the home-owner’s ability to make a profit on the property that they would otherwise be entitled to? 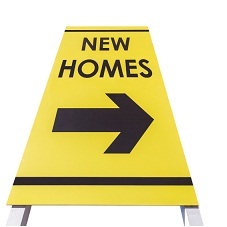 Whilst the news will no doubt be well met by first-time buyers and housebuilders alike, it is unclear how smoothly it can be implemented in practice.